How will the Graham-Cassidy Proposal Affect the Number of People with Health Insurance Coverage? On September 13, Senators Graham and Cassidy, together with two other Republican colleagues, introduced legislation that would repeal major portions of the Affordable Care Act (ACA). Press reports indicate that the legislation has gained considerable support among Senate Republicans, and Senate Majority Leader McConnell’s office announced on Wednesday that the Senate would hold a vote on this legislation sometime during the week of September 25. This legislation has not yet been analyzed by the Congressional Budget Office (CBO), and CBO has indicated that it will not be able to provide a complete analysis of the legislation before the Senate vote. Notably, CBO stated that its analysis would not include “point estimates of [the Graham-Cassidy legislation’s] effects on the deficit, health insurance coverage, or premiums.” To help fill the gap left by the Senate’s decision to hold a vote in the absence of a complete CBO analysis, this analysis draws upon CBO’s estimates for prior legislation to evaluate how the Graham-Cassidy legislation might affect the number of people with health insurance coverage. For years prior to 2020, this new legislation broadly tracks prior Republican bills, most importantly by immediately repealing the individual mandate. CBO’s analyses of these prior bills imply that the Graham-Cassidy legislation would reduce insurance coverage by around 15 million in 2018 and 2019. The reduction would be larger if uncertainty about the effects of the more radical changes implemented by the legislation in 2020 caused some insurers to pre-emptively withdraw from the individual market. Starting in 2020, the Graham-Cassidy proposal would eliminate the ACA’s Medicaid expansion and Marketplace subsidies. Also in that year, the legislation would begin providing block grant funding to states, as well as allowing states to seek waivers from ACA regulations that bar insurers from varying premiums based on health status and require insurers to cover certain health care services. To estimate the effects on insurance coverage during these years, we consider the various ways in which states might respond to the options provided by the legislation, using prior CBO analyses to evaluate the likely coverage outcomes for each of four broad categories of states. We then make assumptions about how many states will take each broad policy approach. Based on this analysis, we estimate that the Graham-Cassidy legislation would reduce the number of people with insurance coverage by around 21 million each year during the 2020 through 2026 period. This estimate likely understates the reductions in insurance coverage that would actually occur under the Graham-Cassidy legislation, particularly toward the beginning and end of the seven-year period, because it does not account for the challenges states will face in setting up new programs on the bill’s proposed timeline, the possibility that uncertainty about the program’s future will cause market turmoil toward the end of the seven-year period, or the bill’s Medicaid per capita cap and other non-expansion-related Medicaid provisions. These estimates are, of course, subject to considerable uncertainty, most importantly because predicting how states would respond to the dramatic changes in the policy environment under the Graham-Cassidy proposal is very challenging. What is clear, however, is that the legislation would result in very large reductions in insurance coverage. The Graham-Cassidy legislation’s adverse effects on insurance coverage are likely to increase after its block grant funding expires at the end of 2026. After that time, the legislation is similar to the “repeal and delay” proposal that the Senate considered in July, which CBO estimated would reduce the number of people with insurance coverage by 32 million people in the long run. Reductions in insurance coverage would likely be somewhat larger under the Graham-Cassidy proposal because of the legislation’s non-expansion related Medicaid provisions, which would further reduce insurance coverage. Table 1 summarizes our conclusions. The remainder of this analysis discusses the effects of the Graham-Cassidy legislation in more detail. Policy changes prior to 2020:The legislation would repeal the individual and employer mandates retroactive to 2016. The legislation would also provide temporary funding that states could use to operate reinsurance or similar programs in their individual markets during 2018 and 2019. Policy changes in 2020 through 2026: Starting in 2020, the legislation would also eliminate the ACA’s premium tax credits and cost-sharing reductions for people purchasing individual market coverage, as well as the state option to expand Medicaid to cover low-income adults with incomes under 138 percent of the federal poverty level. Those programs would be replaced with a block grant to states, which states could use for a variety of different purposes and which would, in the aggregate, provide less federal funding than would have been provided through individual market subsidies and the Medicaid expansion under current law. States would be permitted to waive a range of individual and small group market insurance regulations, including regulations that bar insurers from varying premiums for based on health status and that require insurers to provide certain benefits. The proposal would also impose a per capita cap on federal funding to state Medicaid programs, which would drive further reductions in federal funding. Policy changes in 2027 and beyond: Starting in 2027, the block grant funding available for 2020 through 2026 would disappear, as would the authority to waive insurance regulations. The other policy changes implemented by the Graham-Cassidy proposal would remain in effect. The effects of the legislation on insurance coverage would differ markedly across these three different time periods, so we consider each period separately below. 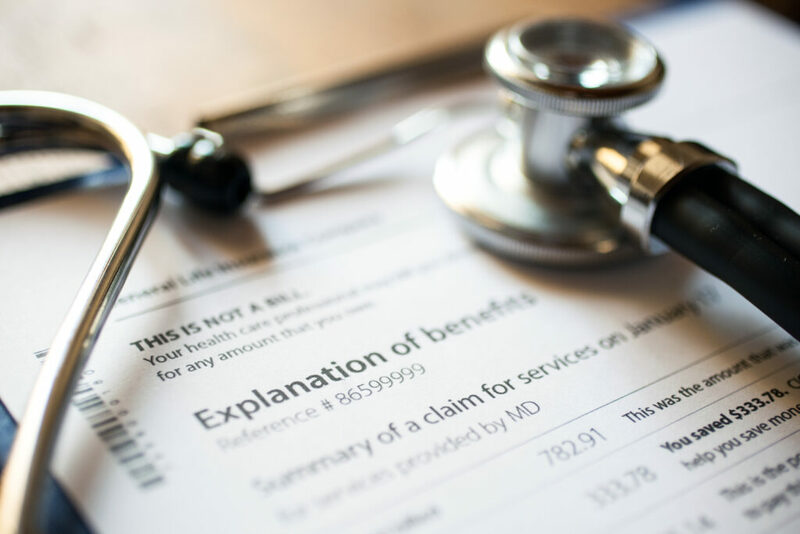 Prior to 2020, the major policy changes made by the Graham-Cassidy proposal are similar to those in the House-passed American Health Care Act (AHCA) and the Better Care Reconciliation Act (BCRA) that was considered by the Senate in July. CBO concluded that both bills would have reduced the number of people with coverage by around 15 million in 2018 and 2019, primarily due to repeal of the individual mandate. While these estimates are a reasonable starting point for assessing the near-term effects of the Graham-Cassidy proposal, both private insurers and state governments may take actions in anticipation of the broader changes that take effect in 2020 that would drive additional reductions in insurance coverage. Notably, as discussed in greater detail below, it is uncertain how states will make use of the block grant funding and waiver authority provided under Graham-Cassidy, and thus how the individual market will function in 2020 and beyond. This uncertainty, together with the fact that 2018 and 2019 would be unsettled years in the individual market due to repeal of the individual mandate and ongoing uncertainty around cost-sharing reduction payments, could cause some insurers to delay investments required to maintain (or expand) their individual market presence. The resulting reduction in insurer participation could lead to higher premiums and leave some parts of the country with no insurers participating in the individual market. Similarly, some states might elect to begin the process of winding down their Medicaid expansion prior to 2020, which could also add to coverage losses during this period. When CBO analyzed the “repeal and delay” legislation the Senate considered in July—which would have repealed the individual and employer mandates immediately and repealed individual market subsidies and Medicaid expansion after a two-year delay—it concluded that these anticipatory effects could be important. CBO estimated that insurance coverage would fall by 17 million people in 2018 and 18 million in 2019, with about 10 percent of the population living in areas with no individual market insurers. Forecasting how the Graham-Cassidy legislation would affect insurance coverage is more difficult for the years 2020 through 2026. In these years, the bill’s effects would depend in significant part on how states allocate the block grant funding the legislation makes available and how they use the option to waive various insurance market regulations. This section discusses three key questions about the nature of state decision-making and then provides a quantitative assessment of how the Graham-Cassidy legislation would likely affect insurance coverage during these years. Would states direct block grant funds to unrelated purposes? In considering how the bill’s block grant funding would affect health insurance coverage, the first question is to what extent states would use block grant funds to achieve objectives unrelated to increasing insurance coverage, like cutting taxes or increasing spending on unrelated programs. There are no apparent legal barriers to diverting funds to unrelated uses. All states would need to do is identify existing state health care programs that qualify for block grant funding, thereby freeing up the state dollars currently devoted to those program to be used in whatever way the state wishes. If this were a state’s goal, the legislation makes it easy to achieve. Total block grant funding under the Graham-Cassidy proposal is $200 billion in 2026. States could almost certainly use block grant funds to support programs that provide substance abuse and mental health services; non-Medicaid state and local government spending on such services is likely to be on the order of $50 billion in 2026. As another example, states could likely use block grant funding to finance health benefits for state and local employees; state costs in this area are likely to be on the order of $200 billion in 2026. Thus, these expenditures alone are more than sufficient to absorb the block grant funding that the Graham-Cassidy legislation would make available in 2026. States would likely identify many other categories of existing programs that could be funded with block grant dollars, such as programs that compensate medical providers for uncompensated care or spending on health care for prison inmates. In other instances, states might be able to direct money into their general funds by funneling them through public hospitals. While it is likely that some of these uses are not intended by the legislation’s authors, many of them may be difficult to disallow while still providing states with the broad discretion over the use of the block grant funds that the authors clearly do intend. Whether block grant funds will be diverted in practice would thus depend on the objectives of state policymakers, specifically how they value investments in coverage programs relative to alternative uses of funds. How state policymakers would evaluate this tradeoff would likely vary from state to state. At one end of the spectrum are the 19 states—accounting for 39 percent of the U.S. population—that have not expanded their Medicaid programs under the ACA. These states have demonstrated that they place a low value on coverage programs since, for each dollar a state devoted to its Medicaid expansion, it had to forgo at most 10 cents of other state spending. Investments in coverage programs would be far less attractive under the Graham-Cassidy legislation because devoting an additional dollar of the block grant funding to coverage programs requires forgoing a full dollar that could otherwise be devoted to other state programs. While it is conceivable that some of these states could respond differently to Graham-Cassidy because it was enacted by Republicans or because states are willing to pay more to avoid reductions in insurance coverage than to increase insurance coverage, these states seem particularly likely to find it attractive to divert block grant funds to uses other than new coverage programs. Other states, by contrast, may see mitigating the reductions in insurance coverage that would occur under the Graham-Cassidy proposal as a high priority and therefore devote a relatively large fraction of the block grant dollars to setting up new coverage programs. The 17 states that set up their own Marketplaces under the ACA—accounting for 35 percent of the U.S. population—are the most likely candidates for this type of approach, although, as noted above, the fiscal rewards to making investments in coverage programs would be considerably smaller than under current law. Even in states that do use block grant funding to set up new coverage programs initially, it seems likely that the share of block grant funding devoted to other uses would rise over time. Inevitably, most states will face periods of fiscal stress, whether due to recessions or other unexpected developments. Such periods might well drive states to redirect block grant funds to other purposes, and there is no guarantee those funds would be returned to their original purposes afterward. As a final note, a long literature in economics has examined how state and local governments adjust their spending in response to the availability of targeted federal block grant funding. That literature has found that states often do divert a large fraction of block grant funding to unrelated uses, although the extent of diversion varies widely from setting to setting, from near complete diversion in some settings to virtually no diversion in other settings. The possibility that the Graham-Cassidy funding will be diverted to unrelated purposes thus has ample precedent in prior experience. How effective would the insurance coverage programs states create be? A separate question is how effective the block grant dollars that states do devote to insurance coverage programs would be in increasing insurance coverage. For a variety of reasons, we expect that the programs states would create in response to the Graham-Cassidy legislation would generally have a lower “bang for the buck” than the coverage programs that exist under current law. Notably, state policymakers will face greater operational challenges than their federal counterparts, particularly with respect to policy toward the individual market. Federal policymakers benefited from significant economies of scale; for example, they were able to build a single enrollment website, a single income verification system, and a single system for handling financial transactions with insurers, and then deploy those systems across many states. By contrast, under the Graham-Cassidy proposal, each state will need to build its own system to do these things, increasing administrative costs. The federal government also had certain capabilities that would likely be completely unavailable to state policymakers. For example, federal policymakers relied upon existing federal databases to verify income and citizenship status when individuals applied for Marketplace subsidies. Lacking access to such systems, states may either need to target subsidies less precisely than the ACA or build suitable systems from scratch. As a process matter, the ACA also benefited from explicit choices by both legislative and executive branch policymakers to make designing, enacting, and implementing major health care legislation a priority, and then allocate staff and other resources accordingly. A policy process foisted on governors and state legislatures, each of whom have their own policy priorities and objectives, is unlikely to operate as smoothly, particularly given the short implementation timeline states will be operating under. (On the plus side, the policy process in some states could benefit from lower levels of partisan conflict between the executive and the legislature than was the case during federal implementation of the ACA.) The ACA also benefited from the ample analytic resources available to federal policymakers, including CBO and the large analytic teams at federal agencies. While many state governments have similar entities that do high-quality work, many are not as well-resourced as their federal counterparts. A final consideration is that the ACA, while not perfect, is reasonably well designed to deliver coverage in a cost-effective fashion. For both substantive and political reasons, the drafters of the ACA were highly motivated to achieve as large an increase in insurance coverage as possible given the budgetary resources available and certain other constraints, at least as assessed by CBO. Holding outlays fixed, deviations from the ACA’s design are thus likely to generally result in reduced insurance coverage. There will, of course, be exceptions to that general rule. States that are willing to use Medicaid-like programs to provide coverage to individuals further up the income spectrum may be able to provide coverage somewhat more cost-effectively than is the case under current law since Medicaid coverage is generally less expensive than private coverage on a per enrollee basis. States may also have a greater ability to tailor the design of coverage programs to local conditions, although because states already have the ability to customize their programs through the section 1332 waiver process and other avenues, the extent of those advantages are likely to be limited. What would states do with the Graham-Cassidy waiver authority? A final question is whether and how states will use the option to waive certain insurance market regulations. These include the “community rating” regulations that bar insurers from varying premiums for individual and small group market plans based on health status, as well as “essential health benefit” regulations that govern what types of health care services individual and small group market plans must cover. We believe that some states will likely allow insurers to vary individual market premiums based on health status and substantially pare back essential health benefit requirements, similar to the conclusion CBO reached in analyzing the AHCA. Indeed, relatively few states had these regulations prior to the ACA, likely reflecting the challenges of barring insurers from varying premiums based on health status without having an individual mandate and robust subsidies to ensure a broad risk pool. States taking this approach are likely to disproportionately be those who are unwilling to devote a significant fraction of the block grant funds to subsidizing individual market coverage, in part because maintaining these regulations without providing sufficient subsidies to individual market plans is likely to result in the market’s collapse. Other states, however, will likely maintain protections more like those that exist under current law. Both community rating and essential health benefit requirements are popular with the public, which may discourage some state policymakers from making changes in this area. The fact that the default if state policymakers take no action is for these regulations to remain in place may also influence the outcome. Building on the discussion above, we estimate the overall reduction in insurance coverage that would occur under the Graham-Cassidy legislation using the following two-step process. First, we assume that states would fall into four broad categories and identify prior CBO estimates that reflect the nationwide effect on insurance coverage if all states nationwide adopted the relevant approach. Obviously, there would be variation across states that is not captured by our categories, but we believe that these categories capture the most important dimensions of variation. Second, we make our best estimate of what share of the U.S population would fall in each category of state, recognizing that there is considerable uncertainty about what states would actually choose to do. Category #1: States that devote a small share of block grant funds to effective insurance coverage programs and make large changes to market regulations: These states would place a low priority on using block grant funds to increase insurance coverage and would therefore devote the large majority of these funds to other uses or to programs that are relatively ineffective in increasing insurance coverage. To keep their individual markets from unraveling in the absence of adequate subsidies, these states would also largely eliminate both community rating and essential health benefit requirements. If every state adopted this approach, the national effect of the Graham-Cassidy legislation would be similar to fully repealing the coverage provisions of the ACA (including its insurance market regulations), which CBO has estimated would reduce insurance coverage by 24 million people by 2026. We assume that states accounting for 30 percent of the U.S. population would take this approach, somewhat smaller than the share of people currently living in Medicaid non-expansion states. Category #2: States that devote a small share of block grant funds to effective insurance coverage programs and make few changes to market regulations: These states would place a low priority on using block grant funds to increase insurance coverage and would therefore devote most of these funds to other uses or to programs that are relatively ineffective in increasing insurance coverage. However, political barriers or other constraints would keep them from making significant changes to market regulations. If every state adopted this approach, the national effect of the Graham-Cassidy legislation would be similar to the “repeal and delay” legislation analyzed by CBO last month, which CBO estimated would reduce insurance coverage by 32 million people by 2026, reflecting in part the near collapse of the individual health insurance market. Because of the dire negative consequences of this approach, we assume that such states would account for only around 5 percent of the U.S. population. Category #3: States that devote almost all block grant funds to effective insurance coverage programs and make few changes to market regulations: These states would place a high priority on using block grant funds to increase insurance coverage and would therefore devote most of these funds to coverage programs. Because of the comparatively significant subsidies provided to the individual market in these states, they would not be compelled to make significant changes to market regulations. The total amount of block grant funding available under the Graham-Cassidy legislation roughly matches the federal spending on Medicaid expansion and Marketplace subsidies that would occur after the significant reductions in insurance coverage attributable to repeal of the individual and employer mandates. Thus, if every state adopted this approach, the national effect of the Graham-Cassidy legislation on insurance coverage would be similar to the effect of “skinny repeal” bill the Senate considered this summer, which CBO estimated would reduce insurance coverage by 16 million people by 2026. We assume that states accounting for 40 percent of the U.S. population will take this approach, somewhat more than the share of people living in states that currently operate their own Marketplaces under the ACA. Category #4: States that devote around half of block grant funds to effective insurance coverage programs and make few changes to market regulations: These states would place a moderate priority on using block grant funds to increase insurance coverage and would therefore devote about half of the block grant funds to coverage programs. They would not make significant changes to market regulations. We assume that the insurance coverage outcomes for these states would be exactly intermediate between category #2 and category #3 described above. Thus, if every state adopted this approach, the national effect of the Graham-Cassidy legislation would be to reduce insurance coverage by 24 million people by 2026. We assume that the remaining 25 percent of the U.S. population would live in states that adopt this approach. Averaging across the four categories as described above, we estimate that the Graham-Cassidy legislation would reduce the number of people with insurance coverage by approximately 21 million during the 2020 through 2026 period. Table 2 summarizes the assumptions we have made for each category of states. For a few reasons, this estimate likely understates the reduction in insurance coverage that would actually occur under the Graham-Cassidy legislation. First, these estimates completely ignore the challenges associated with transitioning to the entirely new system envisioned under Graham-Cassidy. Transitions are difficult even under the best of circumstances. Government agencies need to gain experience administering their states’ new regulatory regimes and subsidy programs. Private insurers need to learn to set premiums for a new market, while individuals need to learn how to access new coverage arrangements. That type of learning inevitably takes time and involves some amount of trial and error, which would likely cause insurance coverage to remain meaningfully below its long run “steady state” for at least some time after 2020. In this case, transitional challenges would be greatly exacerbated by the tight timeline that states would be operating under. States would have only around 15 months to get new policies in place to do so before insurers would need to begin developing products for 2020 and only about 27 months before the new rules would have to be in effect. For comparison, the process of drafting and implementing the ACA began close to five years before the new rules would be in effect. It seems likely that many states would simply fail to meet this timeline or meet the timeline only by deploying ineffective policies. Second, these estimates ignore the potential for market turmoil toward the end of the 2020-2026 period as insurers anticipate the disappearance of the block grant funding and waiver authority. As with the years leading up to 2020, uncertainty about what rules will govern the individual market in the future may put downward pressure on individual market participation, increasing premiums and reducing coverage. Third, because suitable CBO estimates are not available, the reductions in insurance coverage assigned to each of the scenarios described above do not account for the effects of the legislation’s per capita cap on Medicaid spending, which would drive additional reductions in insurance coverage, particularly toward the end of the 2020 through 2026 period. These estimates also ignore the bill’s various other Medicaid provisions, including the introduction of state options to impose work requirements and disallow retroactive eligibility, which would drive further reductions in insurance coverage. For these reasons, we believe our estimates are more likely to understate than overstate reductions in insurance coverage under the Graham-Cassidy legislation. However, there is also significant uncertainty around these estimates, particularly because they depend so heavily on predictions about states’ decisions. For example, it is possible that significantly more or significantly fewer states would choose to devote a large share of their block grants to effective insurance coverage programs, in which case actual reduction in insurance coverage could be smaller or larger than we estimate here. The effects of the Graham-Cassidy legislation on insurance coverage become clearer after the block grant and state waiver authority expire at the end of 2026. Once those aspects of the legislation expire, the bill’s effects would likely to be similar to legislation that would fully repeal the individual and employer mandates, Medicaid expansion, and Marketplace subsidies without any replacement. As noted above, CBO estimated that legislation of this type would reduce insurance coverage by 32 million people in the long run, reflecting in part the near complete unraveling of the individual market. In fact, the long run outcomes would be somewhat worse under the Graham-Cassidy legislation because of the additional changes to the Medicaid program under this legislation. Most important in this regard is the legislation’s Medicaid per capita cap, which is likely to become progressively more stringent over the decade starting in 2027, and thereby spur growing reductions in insurance coverage over time. Technically, the proposal would only permit waivers of insurance market regulations with respect to policies that were subsidized using block grant funds. In practice, states could satisfy this requirement by providing a miniscule subsidy to each plan and insurer, so this requirement would not meaningfully limit this waiver authority. The most recent version of the BCRA analyzed by CBO would have reduced the number of people with insurance coverage by 15 million in both years. The AHCA would have generated a reduction of 14 million in 2018 and 16 million in 2019. The Graham-Cassidy proposal directly appropriates $190 billion in block grant funds for 2026. However, it also gives states the option to use $10 billion of the funds appropriated for 2020 in 2026. To be conservative for the purposes of this comparison, we assume that the $10 billion would be spent in 2026. One of the seven designated purposes for block grant funds is “to provide payments for health care providers for the provision of health care services, as specified by the Administrator [of the Centers for Medicare and Medicaid Services (CMS)].” Spending on substance abuse and mental health services would almost certainly fall under this umbrella, and it is doubtful that CMS would take action to stop these types of uses given the current policy interest in supporting services in these areas. With respect to the size of this opportunity, the Substance Abuse and Mental Health Services Administration estimated that state and local governments spent $30 billion on substance abuse and mental health services outside of Medicaid in 2009. Trending this amount forward based on population growth and overall inflation, which is likely to understate actual spending growth, would imply total spending for these purposes of around $48 billion in 2026. Specifically, the legislation explicitly permits states to use funds to “assist in the purchase of health benefits coverage.” To estimate spending on health benefits for state and local government employees, we rely upon data from the Medical Expenditure Panel Survey, Insurance Component, which provides information on the total enrollment in such coverage as well as the average employer premium cost per enrollee. Those data imply that state and local governments spent around $134 billion on premiums for such coverage in 2015. If per enrollee premiums rise at around 4 percent per year through 2026 and the number of covered individuals remains constant over that period, relatively conservative assumptions, total spending would reach $207 billion in 2026. States could also use a portion of the block grant funding (up to 20 percent under specified conditions) to fund services for populations that would remain eligible for Medicaid under the Graham-Cassidy legislation. In the typical case, however, this will not be an attractive use of block grant dollars since, unlike other state dollars devoted to Medicaid, dollars spent out of the block grant are not eligible for federal matching funds. One feature of the Graham-Cassidy allocation formula creates a limited exception to this statement. From 2024 through 2026, states’ block grant allotments are subject to a “coverage value adjustment” that depends on the average actuarial value of the coverage held by state residents with incomes between 50 percent and 138 percent of the federal poverty level. States that choose to divert block grant resources to other uses are likely to reduce the average actuarial value in this income group and, thus, reduce their future block grant allotments. However, because the measure of average actuarial value specified in the legislation includes individuals of all ages and coverage types, states’ ability to influence this average would be relatively limited in practice. As a result, this feature of the allocation formula would have only a relatively small effect on states’ incentives at the margin. A recent paper by Sylvain Leduc and Daniel Wilson provides a helpful review of this literature. Leduc and Wilson actually find no evidence of diversion in the particular setting they study. As they note, however, their finding is not typical of the broader literature. Our approach implicitly assumes that the states falling into each category are representative of the nation as a whole except with respect to the policy decisions they make in response to the Graham-Cassidy legislation. In reality, the states that fall into each category will likely differ from those in the other categories in a variety of ways. In the context of the Graham-Cassidy proposal, which aims to equalize per capita federal funding across states, these differences are likely to cause us to overstate the reductions in insurance coverage in the first two categories of states, but understate the reduction in insurance coverage in the latter two categories of states, so the net effect on our estimates is likely to be small, particularly in the later years. The potential for bias could be larger for a proposal that allocated block grant funds differently. The Graham-Cassidy legislation would appropriate as much as $200 billion in block grant funding in calendar year 2026. (For details, see the discussion in footnote 3.) Assuming that approximately two-thirds of the reduction in Medicaid spending attributable to the “skinny repeal” bill is attributable to reduced enrollment in the Medicaid expansion population, total federal spending on Marketplace subsidies and Medicaid expansion under the skinny repeal bill would be $198 billion in fiscal year 2026.